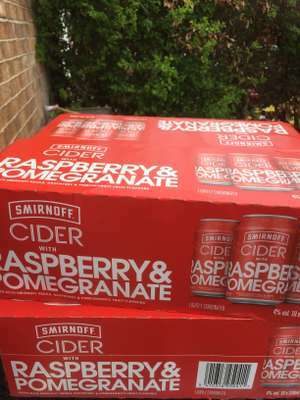 Gordons 1L £15 in morrisons. At the moment both Sainsbury's and Morrisons selling it at £18 without need for Prime. 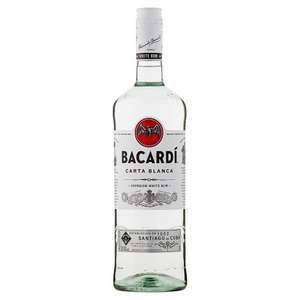 Have these tooth decaying drinks dropped in abv? I’m sure they were around 5% ? May be missing something but prices quited are for Amazon Pantry so only available if you have Prime? I thought this but think it's expired as this is last year's deals. No vodka on this year's as far as I can see. I’m confused how this works, if someone can explain this to me. You can post a Wuntu or Iceland or M&amp;S deal a week in advance but not this Spar deal? Why was this expired? I'm struggling to understand why you're being so pedantic. The chap was simply pointing out theres an alternative offer at ASDA as well. No need for the comments really. At no point did you say they were £1.50 each in your original post. You decided to go for "they're 4 for £6 in Asda" as though that was the deal. 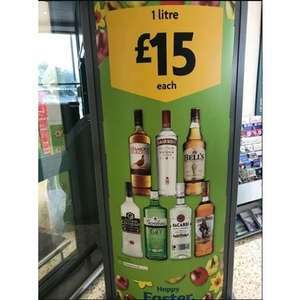 If they're £1.50 a bottle, why would you write a post saying you can get 4 for £6 then? Wouldn't it have made more sense to just post "These are £1.50 a pop in Asda"? And I'm the slow one? £10/L at Mumbai duty free but this will do until I'm back there. The ones i got were all dated May 2019. Tried this before. It's okay but nothing particularly special. Other fruit ciders are more tasty. 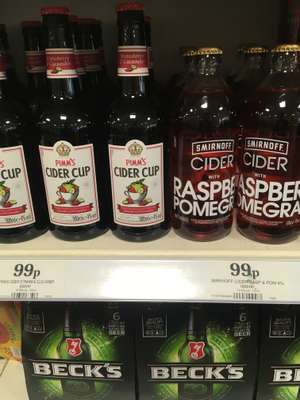 Original price is a joke £1.25 for a 330ml can? At this price, worth a punt. If date is long enough stick in garage and keep for next year's barbecue season. Showing as £6.25 on the shelf in Colchester but scanning at £4.50, about 15 left. Vodka enthusiasts are a strange one to me. I honestly cant tell the difference between a 'decent' vodka and an apparently 'premium' one, and studies have shown even the supposed experts generally cant, either. I mean, the whole point of vodka is to be as flavorless and neutral as possible for ease of downing. For me, so long as it's not some bottom shelf stuff, which can indeed be harsh and rancid, you're good to go. do you trust the Russians? It’s the same in most Sainsburys as this has become a discontinued line..